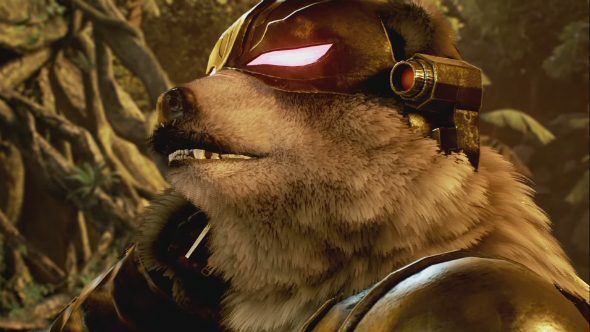 Tekken 7 will see the return of lovable ursine competitors Kuma and Panda, as the real life King of Iron Fist Tournament also detailed more on how to set up tournaments for your friends during its grand finals last night. For great PC multiplayer games to check out online, look no further. The tournament mode will support up to eight players in either single- or double-elimination brackets, with text and voice chat, spectating and the ability to set your own rewards. 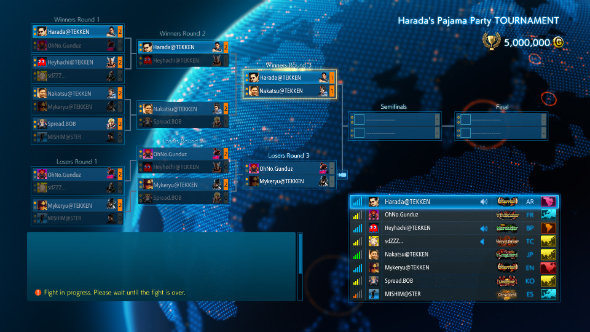 In the screenshot below you can see Tekken producer Harada-san has set a grand prize of 5m credits for his Pyjama Party tournament, with placings below being awarded diminishing prizes based on the top amount. Other news from the KOIFT grand finals saw our furry companions, usually unlockable side characters in other titles, being introduced in the roster for Tekken 7. This time it looks like they’ve got their own cosmetic unlockables and everything, you can see their wonderful finishing moves below.